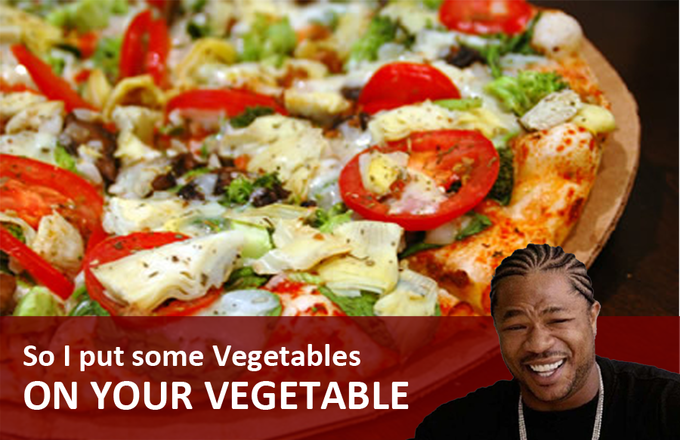 Pizza is now a vegetable! 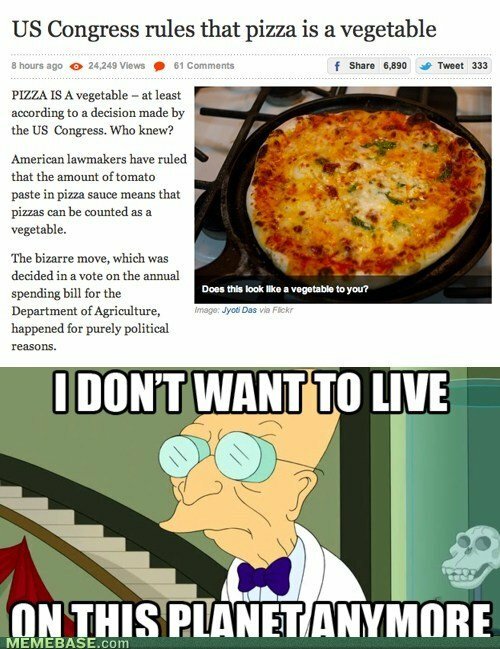 The United States Republicans want to categorize tomato sauce on Pizza as a vegetable, thus inspiring students to eat “vegetables”. Because pizza is a vegetable right? On November 14th, 2011, The Associated Press published an article about a spending bill put forth by House Republicans on the Appropriations Committee that would attempt to undermine efforts by the Obama administration to improve the nutritional value of public school lunches. The article revealed that part of the bill would protect the status of tomato paste on pizza as a vegetable. The spending bill also would allow tomato paste on pizzas to be counted as a vegetable, as it is now. The department’s proposed guidelines would have attempted to prevent that. The changes had been requested by food companies that produce frozen pizzas, the salt industry and potato growers. Some conservatives in Congress have called the push for healthier foods an overreach, saying the government shouldn’t be telling children what to eat. According to Wikipedia, since tomatoes contain seeds they are botanically considered a fruit but the United States Supreme Court ruled in the 1893 Nix v. Hedden decision that tomatoes should be considered a vegetable for trade purposes. During this time taxes were required for all vegetable, but not fruit, imports and the Supreme Court ruled against the Nix family’s attempt to recover back duties paid to the Collector of the Port of New York. Previous: Behold, the world biggest Tesla coil!